Thanks for a remarkable four years. 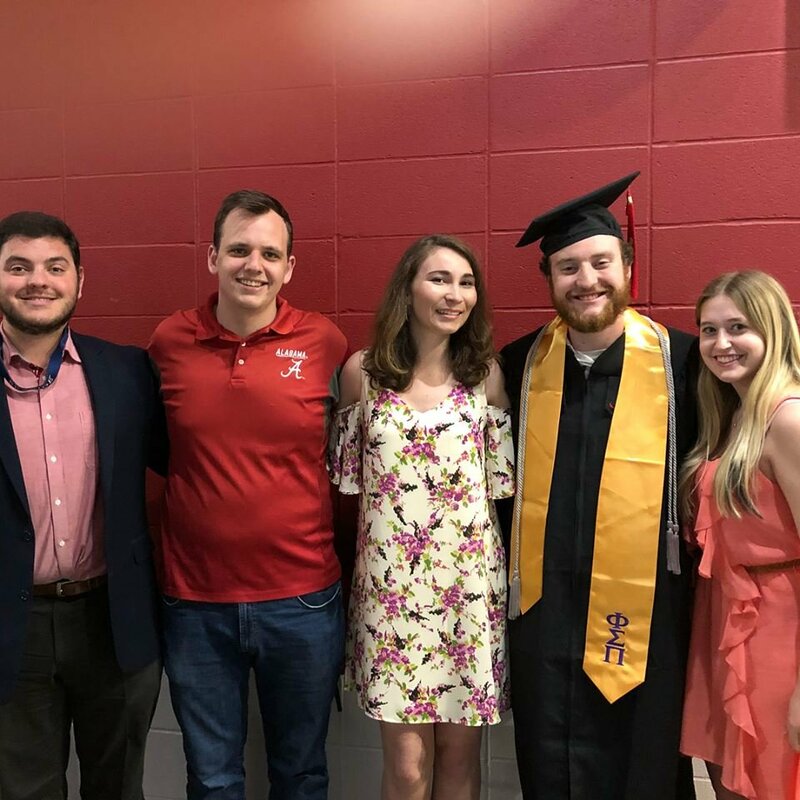 In the past four years, I have been lucky enough to find many wonderful friends at the University of Alabama and of those friends I can say that one has become my best friend. While we, unfortunately, are not graduating together I am very excited to see what he will do in the future. Growing up I always struggled with who I wanted to be portrayed as and when I got to college I still didn't know who I wanted to be. When I met you I realized that I didn’t need to change and anyone who wanted me to change didn’t belong in my life. 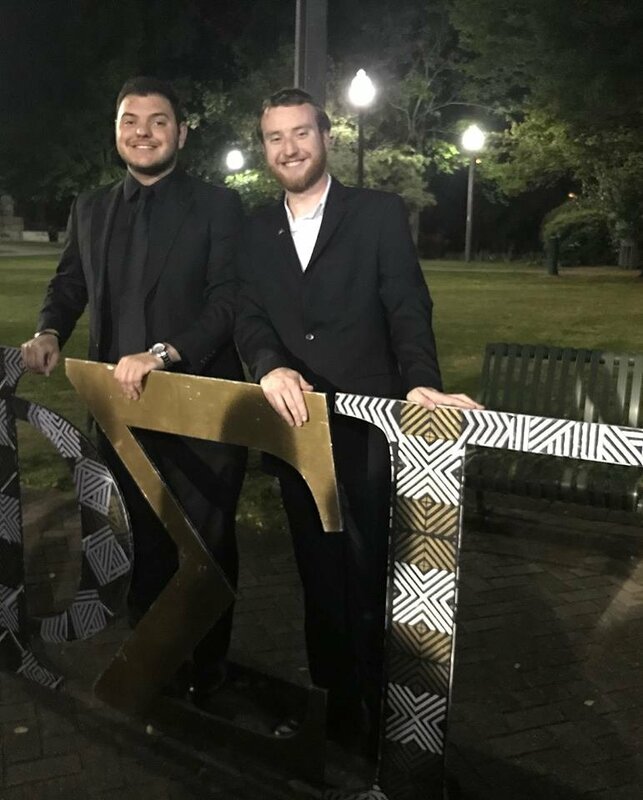 It’s amazing how far we have come from just people who sat down in an information meeting at Phi Sigma Pi in 2015 to the two guys everyone sees at Phi Sigma Pi events and football games together. I know for fact I got a good one in you. 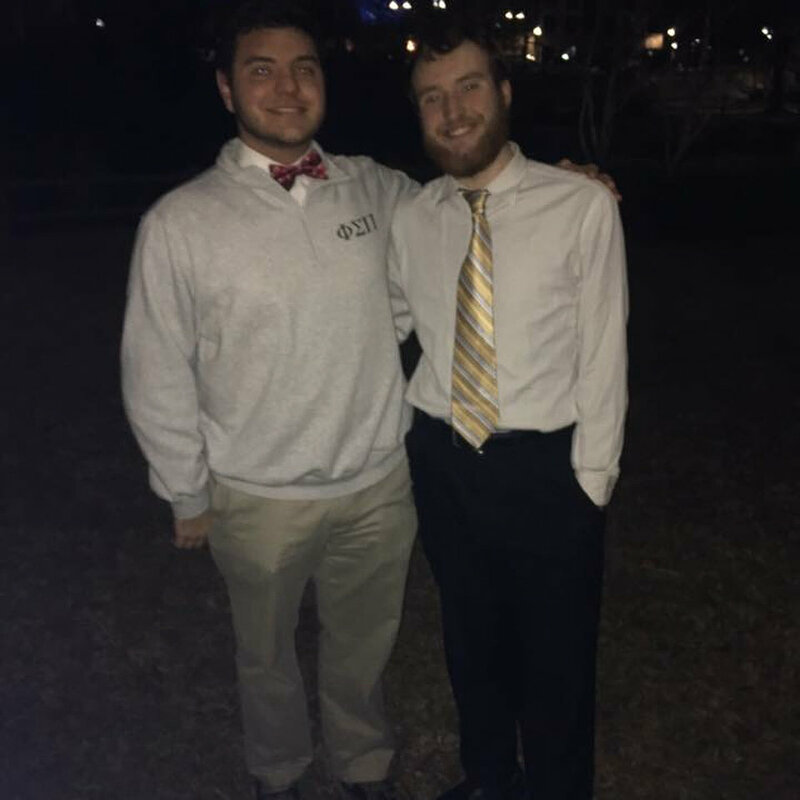 The transformation is evident in our appearance but being best friends has helped me become comfortable in who I am as a person and who I aim to become. I remember the day we met but I don’t exactly remember when we became friends. It was either sometime towards the end of freshman year or the beginning of sophomore year. I remember meeting in Phi Sigma Pi and I remember seeing you in one of my classes but I don’t remember when we actually connected the dots or became friends. All I remember was that we were both similar and had the same interests and career goals. While this was the start of a great friendship it also led to you becoming my best friend in college. Similar to when we became friends I don’t honestly remember when we became best friends but I do remember introducing you as my best friend and always talking about you. When I met people I would always mention you as if they knew you and when they met you they realized how important you are to me. Whether it was last year or early this year I am thankful for what has become of us. 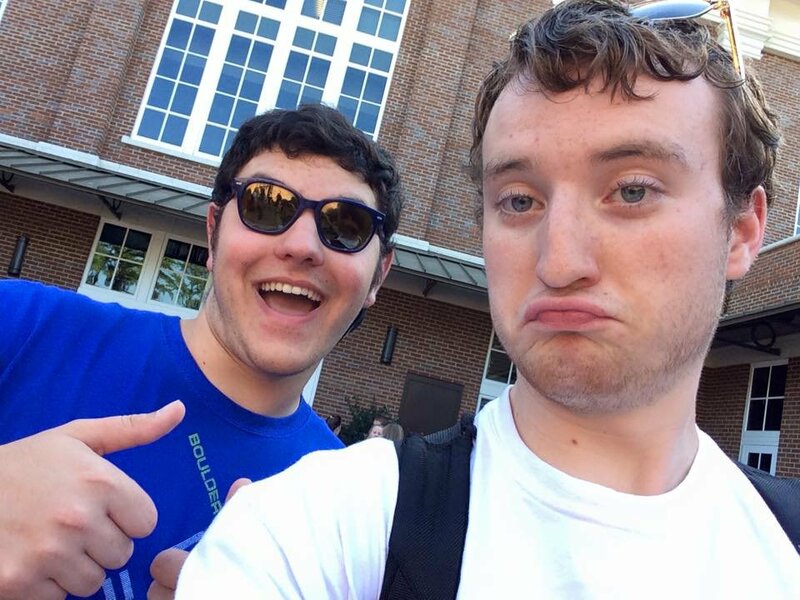 There are many great pairs known throughout history: Ben Affleck and Matt Damon, Spongebob and Patrick, Michael and Dwight (because you finally watched The Office), Chris Berman and Tom Jackson and of course us. It took some time for me to figure out how to put this into words without crying but in the end, I think this was the best way to tell you how much you mean to me. So as a way of being thankful for you I decided to do one of the things I am best at which is writing you a letter and using it for the Odyssey. Thank you for putting up with me for the past three years. While you hear me say this often I couldn’t deny how great it has been to be your friend and grow closer on what seems like a daily basis. When we spent time together there was more I learned about you whether it is how you like rainbow sprinkles because its all unique and makes ice cream taste better, your love of Patrick Murphy, your ability to make a room laugh and smile and the moments you beam when Avery Johnson is mentioned. Learning these things about you made me understand not only our friendship but also how similar we are. Thank you for being so similar to me. Having the same interests and career goals is one thing but there was never a time where I didn’t want to be anyone besides myself when I was around you and that has still been the reason to this day. I struggled with figuring out who I wanted to be but it was through your assurance that I realized I was perfect the way I am. I know we have our disagreements about our favorite sports teams and I might not be as knowledgeable about Marvel as you but being able to have car talks, go see Marvel movies and watch sports together have been some of my favorite activities. You never wanted me to change and you always told me to keep living my best life. True friends are the ones who always motivate you to become better and not criticize you. You were always available for late night talks and being my voice of reason. Thank you for always being the someone who can do both. Being able to sing “Black Beatles” with you and screaming “Get you somebody that can do both” was always one of my favorite moments at bars (next to Syrup Sandwiches) we always found a way to have fun and I know we will continue that in the future. I saw people find their best friends in college and how similar they are and I am proud enough to say I got you. I can’t say how proud I am of you for everything you have done at this University. Establishing yourself as a journalist and going after your passion is one of the many reasons I am excited for you. Seeing everything you did in regards to journalism and media was a reason I decided to start getting involved and finding ways to jump-start my career. You made me realize how important following a dream is and that I should never sell myself short. This wouldn’t be a true college letter if I didn’t mention PSP and you were an inspiration for getting me involved sophomore year. Seeing everything you have done for PSP is what I continuously think about and why I think I had so much fun. Without PSP we wouldn’t be best friends and you gave back to PSP everything PSP gave to you and that’s what makes me happy. There are so many inside jokes that we have created over the past few years and I know we will create more. Whether it has been “That’s just not what you want to see”, high ground memes, cheering for walk-ons to play, anything sports related and our constant yelling for bands to play “Wonderwall” and “Stacy’s Mom” I know I couldn’t have picked a better best friend. It's amazing to see how far we have come and how we have both grown up together the past three years. I know we will continue to grow together even if we’re in the same city or halfway across the world. I know you are going to do big things in this world and I will be there with you every step of the way very soon. In the words of Vin Diesel, “No matter where you are, whether it's a quarter-mile away or halfway around the world, you'll always be with me and you'll always be my brother.” Thank you so much for everything you have done and while I know you won't be with me next year you’ll always be with me when I need you most. Thanks for always being my hype man, my wingman, the person always there to cheer me up and most importantly just being you. While I can be a handful I wouldn’t trade anything in the world for all the time we spent together. This is not the end , this is the beginning and I know in a year I will be with you ready to take on the world with you. Your best friend/partner in crime/second-in-command/that guy who always sat next to you in chapter/dance partner and hype man.